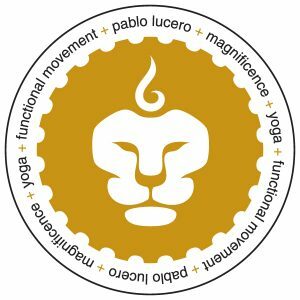 FUNCTIONAL POWER YOGA is a powerful and skillful integrative practice and journey designed by Pablo Lucero, rooted in the ancient philosophies of Yoga, Ancestral Healing Arts and Functional Movement Methodologies. A physically intense, internally focused alignment-based practice with a functional approach to asanas (poses), movement and life. Hatha, Vinyasa Power Yoga, Functional Movement and Magnificence are tools used to awaken your inner power, recondition your body’s natural vitality and reclaim your highest potential. Creator and Program Director of Functional Power Yoga. Pablo emanates a down-to-earth, grounding energy that speaks to realizing yourself, to serve. His teachings illuminate alignment and inner strength allowing a functional approach to poses, offering a hearty mix of Anusara, Vinyasa Yoga and Functional Movement with surprising degree of personal attention to large groups. Pablo has refined the art of making the ancient practice of Yoga accessible to all. He implements cutting-edge methodology based on his studies of Biomechanics & Functional Movement. He leads workshops, conferences, memorable Yoga Retreats and Yoga Teacher Trainings Certifications locally and internationally. Pablo’s specialty program is designed to be accessible to all who are interested in shifting their awareness to a life that is full and joyous, creating a ripple effect to shift humanity and the world. He has been studying meditation, yoga and movement for over 10 years offering his knowledge, wisdom and Functional Power philosophy through personal development and practical inner strength, allowing an accessible way to the light on yoga. Sarah is known for her authentic, nurturing teaching style. Her philosophy is that Yoga teaches us to observe, choose and create a life of unity, love and compassion. Her teachings combine Traditional Hatha Yoga principals such as kriyas, asanas, pranayama, meditation and other healing modalities and practices. Yoga has been part of her life for over 5 years. She completed her 500 hour Vinyasa Krama Yoga Teacher Training in Chile and her 300 hour Advanced Yoga Training in Hatha Yoga with AyurYoga Eco-Ashram in Mysore, India where she lived, practiced, studied and taught for 6 months. She has studied with Swami Prabodh Chaithanya, Simon Borg-Oliver, Ana Forrest, Elena Bower, Honza and Claudine Lafond, Teachers of Sivananda Meenakshi Ashram, SN Goenka (Vipassana Meditation) among others.Her favorite of Patanjai’s Yoga Sutra is, 1,2:Yogas chitta vritti Nirodha, “Yoga is the cessation of the fluctuations of the mind” because for Sarah Yoga is the practice where she can quiet her mind and simply be. In addition to her passion for yoga, Sarah works with the sacred plant of Cacao, offering cacao ceremony and mindful living integration. 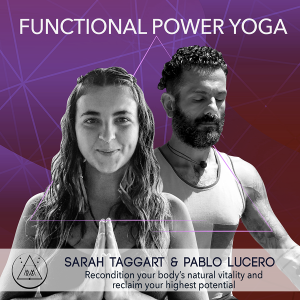 FUNCTIONAL POWER YOGA 200-hour training program is a powerful and skillful integrative practice and journey designed by Pablo Lucero, rooted in the ancient philosophies of Yoga, Ancestral Healing Arts and Functional Movement Methodologies. Our mission is to explore and celebrate all that is aligned with divine consciousness through physical, mental and spiritual practices in constant self-discovery and realization. Master your life to create the optimal human experience, live in balance, fulfillment, and in harmony and equanimity with all.